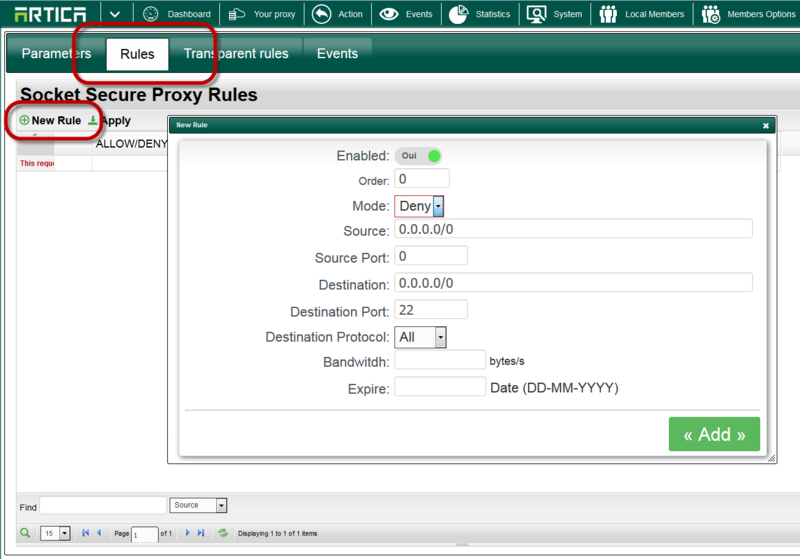 By default when enabling the Socks Proxy service user can be connected on any remote port trough the Socks5/Socks4 proxy service. Rules is the feature that can limit access to remote services. Click on “New rule” to create a new rule. Bandwidth: if the rule is in “Allow” mode set the maximal bandwidth in bytes/s a connection can use. Expire: Define the maximal time of the expire rule. Rules can be set like a Firewall, in this example, we allow SSH only for the 192.168.1.52 source address.